At one time, this museum belonged to Lionel Walter, 2nd Baron Rothschild who kept it as his own private collection. Today, the museum is open to the public on the grounds that once were the home of the Rothschild family. The house was built in 1889 and is now the public viewing location of the collection, which opened in 1892 in what is known as Tring Park. In 1937, the entire collection and the grounds were donated. Along with the wonderful masterpieces inside the house, you will find a very unique creature known as zebroid. Lionel Walter bred horses with zebras to make the birth of this unique and beautiful creature possible. They were often used for his horse-drawn carriage. There is also a café where you can see the carriage and the zebroids. The Walter Rothschild Zoolo gical Museum offers 6 galleries with a variety of different dead animals in each gallery. The first gallery is dedicated to birds, the second gallery is only used for exhibits that are temporary, the third is reserved for crocodilians and animals of the sort, the fourth gallery is for odd-toed ungulates and kangaroos, and the last gallery is for bovids, such as pigs. There is also something called Discovery Room, which back in the day was dedicated to younger children. On the grounds, There is a ornithological library and a research collection that are not open to the public. 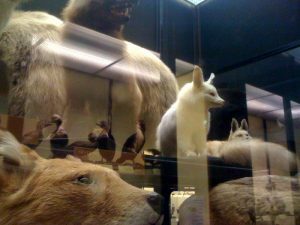 Throughout the year, the museum hosts themed exhibitions that will display dead animals that are not normally on display. The Walter Rothschild Zoological Museum used to be a place dedicated to young and old alike, and the aim was to learn about various animals that still exist today and those that have gone extinct. Families are sure to have fun and enjoy all the various exhibits.